The Hunyuan Taiji System was created by Grandmaster Feng Zhiqiang. 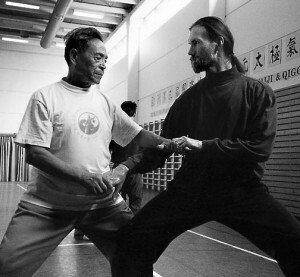 He developed the system from the teachings of two giants of twentieth century internal martial arts and qigong: Hu Yaozhen, a famous Chinese doctor and Xinyi Quan master who is considered by many to be the father of modern qigong; and Chen Fake, the foremost practitioner of Chen Style Taijiquan in the twentieth century. Under the tutelage of these two great masters, Feng Zhiqiang penetrated the inner meaning of Taijiquan. 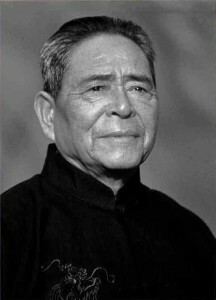 Grandmaster Feng, 1928-2012, was a martial artist for over 75 years. He passed on May 5th, 2012, at the age of 84, on the night of the largest full moon of the year. He was an 18th-generation grandmaster of Chen Style Taijiquan and was widely recognized as one of the greatest Taiji masters of his generation, and all time. As the foremost authority on Chen style Taijiquan in modern times, he was instrumental in resuscitating Chen style in its home of Chen village after the Cultural Revolution. As the creator of the Hunyuan Taiji system, he corrected internal problems within the Chen style, improving upon its health and martial benefits by fusing it with Taoist cultivation methods. He was a board member of the China Martial Arts Association, advisor to the Beijing Municipal Martial Arts Association, chairman of the Beijing Chen Style Taijiquan Research Association and president of the Feng Zhiqiang Martial Arts Academy. Matthew Sieradski is a disciple of Harrison Moretz, director of the Taoist Studies Institute in Seattle, Washington. Harrison is a formal disciple of Grandmaster Feng Zhiqiang, and thus is a 19th-generation lineage holder of Chen Style Taijiquan and a 2nd-generation lineage holder of Xinyi Hunyuan Taijiquan. Harrison has been practicing and teaching Taoist cultivation and internal martial arts for over 35 years. 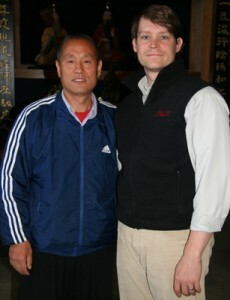 He has dedicated his life to penetrating and disseminating the essence of traditional Taoist practice and culture. For more information about Harrison Moretz, click here. 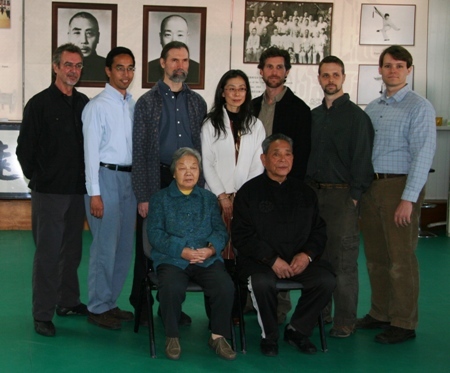 In Autumn of 2007, Matthew traveled with Harrison Moretz and classmates to Beijing, China, where he became an official disciple of Harrison under Grandmaster Feng in the Hunyuan Taiji and Chen-style Taiji lineages. Matthew has also had the great good fortune to study with Master Chen Xiang, widely recognized as Feng’s most highly skilled disciple, on the occasions of Chen’s visits to Seattle and while Matthew was in Beijing.